Take charge of your leather boot maintenance with these tips on how to care for your boots on a daily basis. This guide runs through the small things you can do at home after you take off your boots for the day. Although cleaning and conditioning your boots are important steps in keeping your boots fresh and healthy, daily care is just as important. These habits aren’t mandatory and are just guides on how to further maintain your boots. 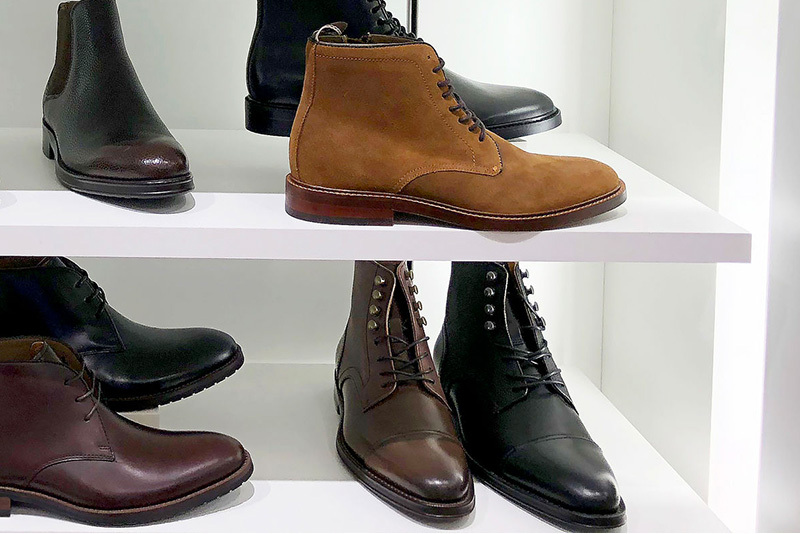 You can pick and choose which ones you want to follow depending on how much time and money you want to invest in your boot care. 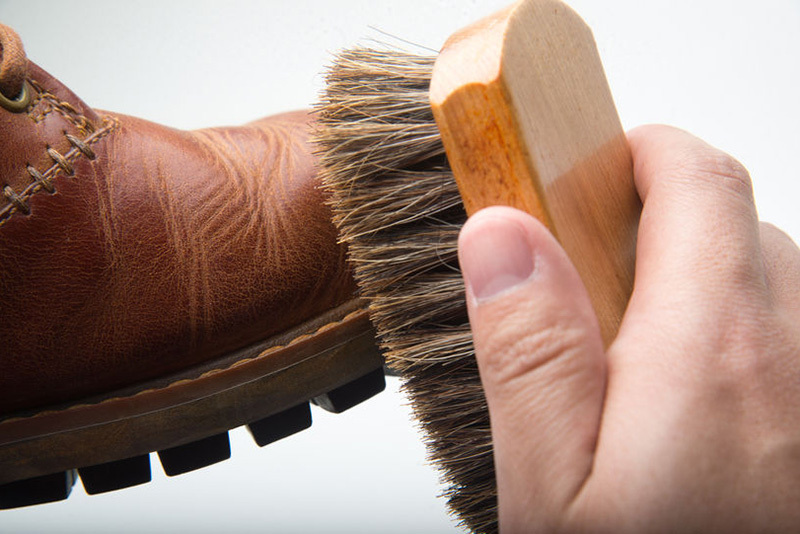 But in addition to habitually cleaning your boots these daily habits will help keep your boots clean, protect the leather and help your boots keep their shape over time. One of the most important habits in daily boot care is brushing down your boots from dirt, debris and grime after a day’s wear. The best way to do this is to use a horsehair brush. Horsehair is gentle enough on leather where it won’t scratch but tough enough to get rid of loose dirt and debris. Where you want to concentrate your brushing is around the welt and in any crevices where dirt can accumulate. For winter boots it’s important to get in the habit of brushing off your boots if they have come into contact with salt. Salt can destroy a boot’s leather so it’s important to remove any salt that has come in contact with your boots. Shoe horns aren’t just for dress shoes. If you purchased an expensive pair of boots then you’re going to want to protect the your boots from aggressive pulling and tugging whenever you are putting them on. Unlike small shoe horns for dress shoes, you can use a longer shoe horn to prevent damaging the leather around the heel and hurting the boot’s counter. In addition to saving your boot’s heel, a shorn horn will make it much easier putting on your boots which is a plus for anyone with back problems. Shoe trees are an important part of keeping your boots in tip-top shape by doing a few things: they maintain your boots shape, help dry the inside of your boots and can help fight bad odors. A good shoe tree is fitted to the size of your boots (not too big or too small) and will be made out of cedar wood. Cedar has lots of antimicrobial, anti-fungal and air purifying properties that help with combating oder and moisture. In addition to helping your boots keep their shape, shoe trees also help prevent cracks and creases in the leather. Although there are shoe trees made especially for boots, we have found regular dress shoe trees to work just fine. If you want to go with a boot tree, Red Wing does make a killer boot tree with a high a crown especially made for 6 inch boots. Rotating your boots is the practice of alternatating boots and shoes for daily wear. So instead of wearing the same pair of boots daily, you rotate your footwear in cycles. This can be done with two different pairs of boots or with countless pairs of boots and shoes. There are a couple of reasons why you shouldn’t wear the same pair of boots everyday. The first reason is that feet sweat. Rotating between pairs allows the boots enough time to completely dry before the next wear. The second reason is if paired with shoe trees, rotating your boots will make them last longer. This is because shoe trees are giving your boots the chance to get rid of excess moisture and reshape. 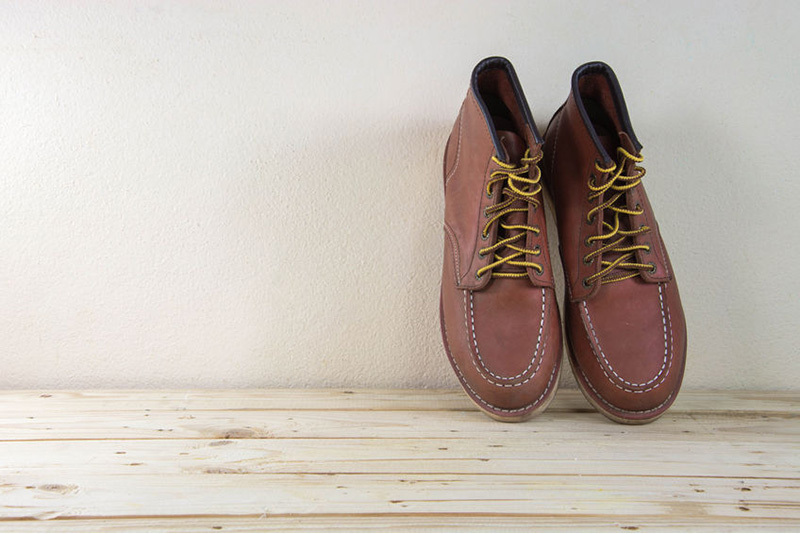 The last tip on maintaining your boots on a daily basis involves the storage of your boots. You want to store your boots in a temperature controlled environment and away from direct sunlight. This means no burning hot attics and away from windows where direct sunlight can discolor the leather. If you are putting your boots away for the season then covering your boots is a must to avoid dust from building up on your boots. The best way to store your boots long term is in a breathable shoe bag. Unfortunately most shoe bags may be too small for a large pair of men’s boots but luckily there are larger boot bags available. If you don’t want to spend the money on a boot bag, a canvas duffle will do. Just make sure the bag material is breathable and please avoid using plastic bags (just don’t). Older PostWedge Sole vs Heel Work Boots - Which is better?